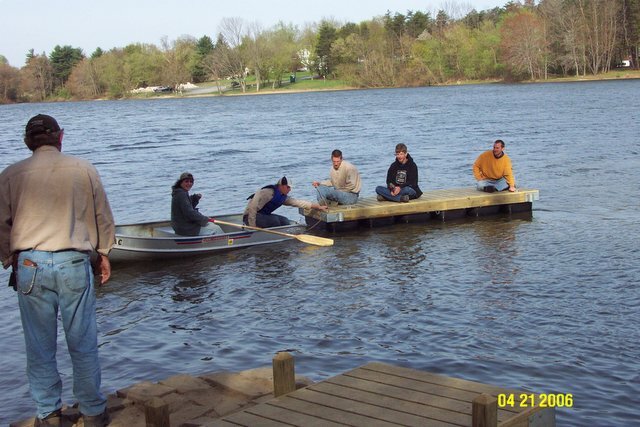 The PCC crew and Denise Donmoyer float the dock John Keesey built into place. 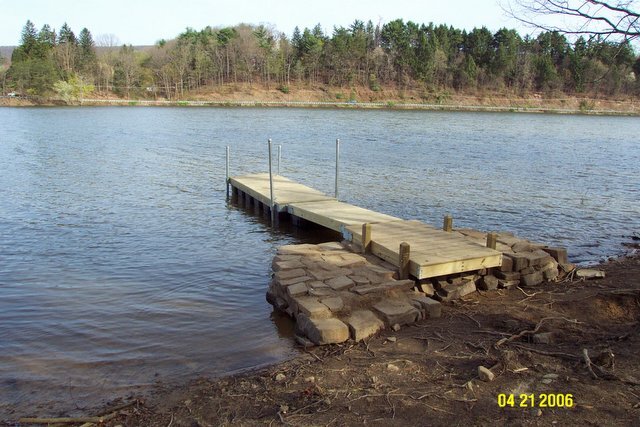 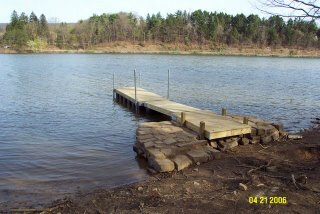 The PCC crew built the stone pier. 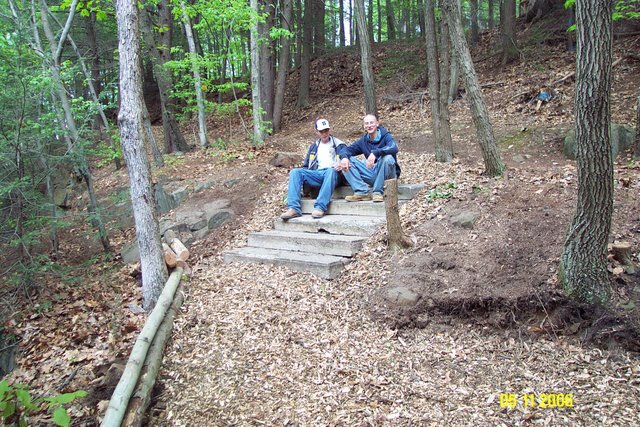 They discovered a couple days later why they need to finish it with a stone ramp. 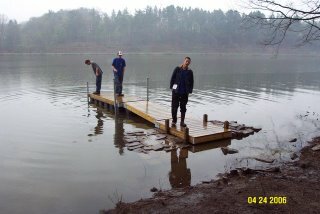 We recieved over 2 inches of rain overnight. 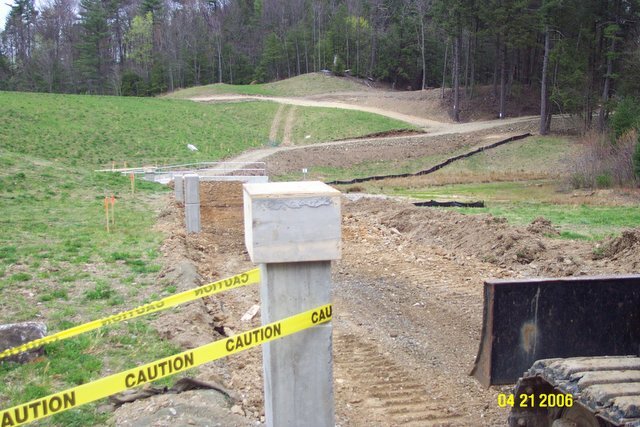 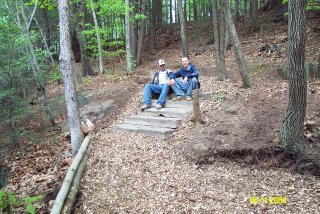 Construction has begun on the lighted pathway to the Falls Bridge. 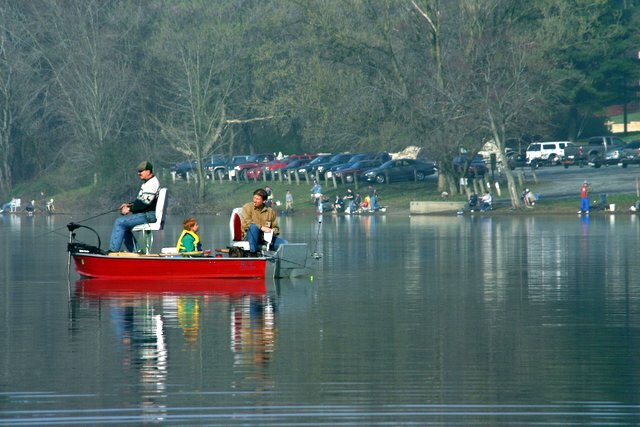 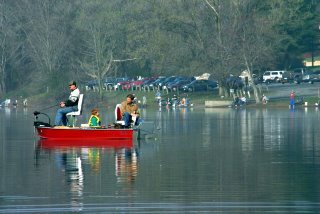 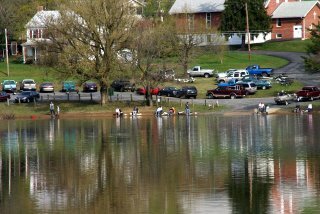 Hundreds lined the banks and floated the waters in hopes of catching trout. 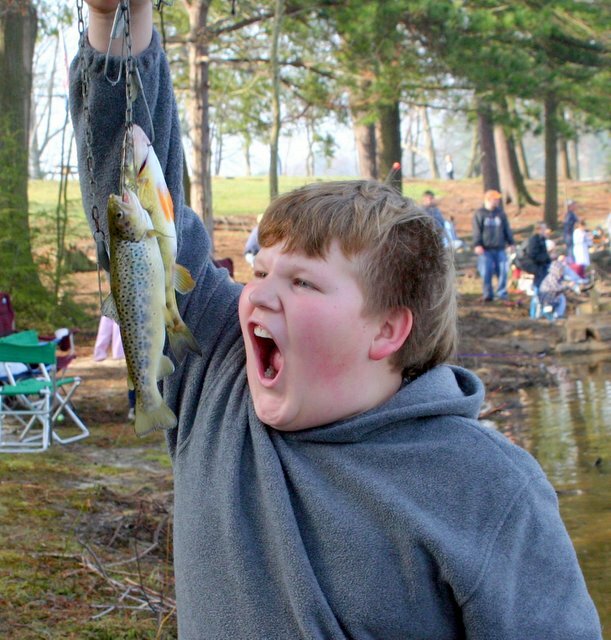 The first annual fishing derby and breakfast was a tremendous success. 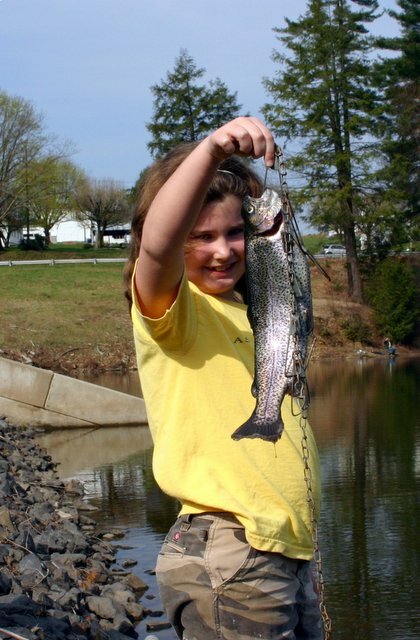 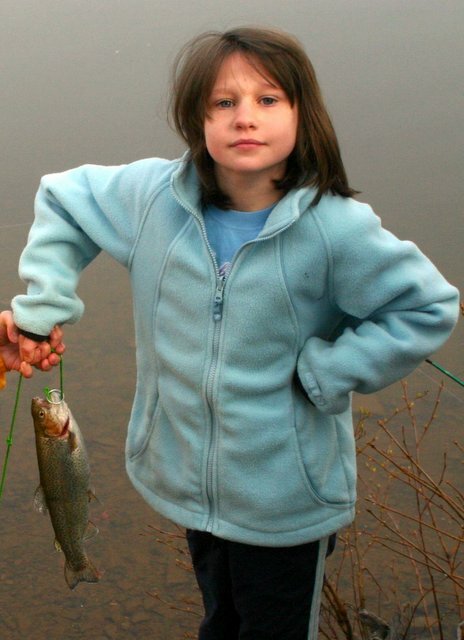 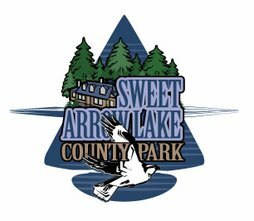 The first day of trout season and Jennifer Schwartz catches the first tagged trout in Sweet Arrow Lake and wins the the $50 first prize from the Northern Swatara Creek Watershed Association.